Great news for Amanda Seyfried! The Ted 2 star showed off her baby bump at the launch for Givenchy's Live Irresistible fragrance on Tuesday night. The Ted 2 star showed off her baby bump at the launch for Givenchy's Live Irresistible fragrance on Tuesday night. The brand's spokesmodel, 30, did not try to hide the fact she was with child, wearing a Givenchy black mini dress that left nothing to the imagination. The baby will be Amanda's first. 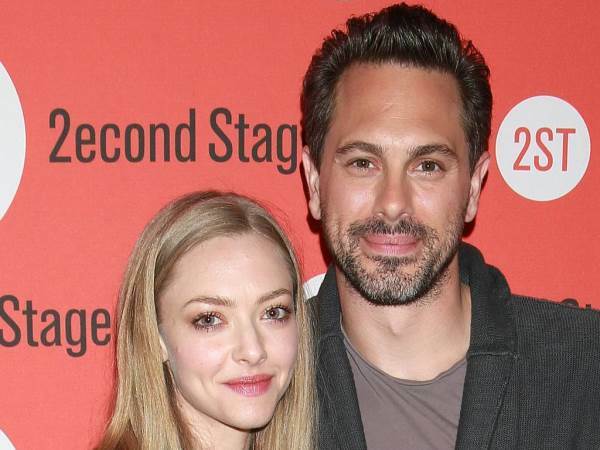 Read more: Wedding bells for Amanda Seyfried and Thomas Sadoski! She became engaged to actor boyfriend Thomas Sadoski, 40, in September, 2016. The couple met while working together on the off-Broadway show The Way We Get By last year, but were both involved in other relationships at the time. Romance blossomed on the set of the pair's upcoming film The Last Word. Read more: Amanda Seyfried’s dating one of her famous co-stars! Amanda also found love with her Mamma Mia! co-star, actor Dominic Cooper, who she dated from 2008 to 2013. Shortly after their break-up, she romanced actor Justin Long, but they split over a year ago, after more than two years together. Meanwhile, Sadoski separated from Kimberly Hope, his wife of eight years, in October, 2015. Seyfried told Marie Claire U.K. last year that she was eager to start a family: "I keep feeling like my eggs are dying off. I need to get on it," she said. "I want a child. Badly. I want to be a mother, badly. That's what I feel. I've been feeling it for, like, two years."